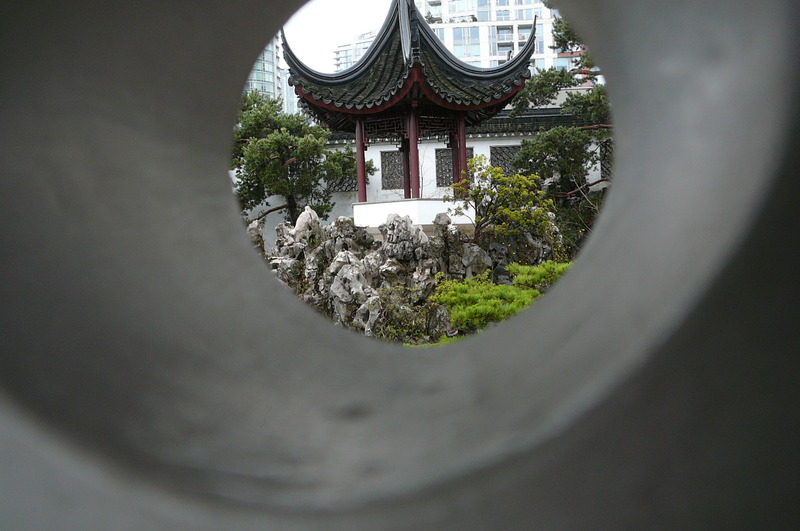 In the heart of Chinatown Vancouver is the Dr. Sun Yat Sen Classical Chinese Garden. The quote on their website and as you enter the garden is “Life is not measured by the number of breaths we take, but by the places and moments that take our breath away” which gives you an inkling of the nature of this reflective oasis. In late January I had the pleasure of visiting the gardens for the first time. To go out on a cold and rainy day in January may seem like an odd time to visit a Chinese Garden but in true Chinese tradition there is never a bad day to visit the garden. For example, our guide told us that the points on the roof tiles were designed to channel the rain so that the drops fall like a string of pearls. Another special element of the garden was that the walls were created with openings that had designs built in so as you walked along the walkway you could always see the garden through a multitude of shapes. Reflecting on the different views and perspectives is one of the gifts of the garden. Below are a variety of views of the central Pagoda each with its own charm and evocation.